A famed rapper, producer, actor, and business mogul, it seems like 50 Cent can truly do it all. 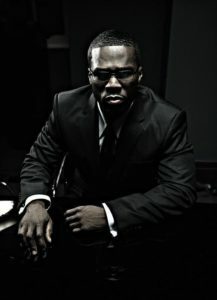 Although, the subject of 50 Cent’s net worth has been one of much discussion and controversy within the last two years. After filing for chapter 11 bankruptcy in June of 2015, some believed that the entertainer’s infamous reputation to live an exceptionally materialistic lifestyle had finally taken its toll on him. Others, however, are quite insistent that his supposed financial difficulties are blown out of proportion, and the icon’s pockets are just as full as they’ve ever been. Whatever the case may be, it’s no question that this man knows how to make money, truly defining what it means to Get Rich or Die Tryin’. How did 50 Cent Accumulate his Wealth? Born Curtis James Jackson III, 50 Cent was born on July 6, 1975, in the South Jamaica neighborhood of Queens, New York. Having to adjust to a life in a tough neighborhood, much of 50 Cent’s early life was spent not in a music studio, but boxing in a nearby gym. It actually wasn’t until the late 1990’s when he began rapping, starting out in a friend’s basement using his equipment to record beats and demos. Within only a few years, many began to take notice of 50 Cent’s natural prowess as a producer and a rapper, attracting the attention of high-profile personalities of the Hip-Hop world including Nas, Jay-Z, D`MX, and Wu-Tang Clan. Eminem in particular was impressed by 50 Cent’s 2002 mixtape Guess Who’s Back?, prompting him to introduce 50 Cent to well renowned producer Dr. Dre. The 1 million dollar record deal that then came about, led to the release of his still heavily praised debut album, Get Rich or Die Tryin’. This release was arguably the moment that truly escalated 50 Cent’s rise to fame within the music industry, and thus began the accumulation of the bulk of his earnings. As a rapper, 50 Cent would go on to produce a total 5 studio albums, generating over 35 million album sales, and still continues to produce and make music to this day. Much of his income however, doesn’t just stem from his successes within the music industry. Like many artists, 50 Cent transcended beyond the music industry and worked to leave his mark in all other ventures he decided to pursue. In 2005, 50 Cent starred in his first major role in the film Get Rich or Die Tryin’, marking the beginning of his career as an actor. His filmography has since expanded dramatically, including roles in the 2015 boxing flick Southpaw, and the 2013 action-thriller Escape Plan, each amassing over $90 million and $137 million in the box office respectively. 50 Cent has also shown great successes as a multifaceted businessman, boxing promoter, and investor. 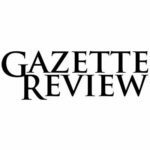 Throughout his career as a businessman, he has made countless business decisions that have proved immensely profitable for him. For example, 50 Cent partnered with beverage company Glacéau, receiving a minority share after the company learned that he was quite fond of their product, Vitaminwater. Later in 2007, the Coca-Cola Company would go on to purchase Glacéau for an astonishing $4.1 billion, which in turn netted 50 Cent a resultant $100 million. Given all of these successes that spanned the entirety of his career, it isn’t surprising that 50 Cent has amassed such a fortune over time. With his level of wealth, 50 Cent has consistently and undoubtedly inserted himself as a member of Hip-Hop’s richest personalities. 50 Cent is known been romantically linked to several women, namely: Shaniqua Tompkins, Daphne Joy, actress Vivica A. Fox, singer Ciara, and comedian Chelsea Handler. Although, in spite of the various relationships he has held throughout his life, 50 Cent is not known to have ever been engaged to one of his romantic links. Does 50 Cent Have Kids? 50 Cent has two children, named Marquise and Sire Jackson. Marquise was born to mother Shaniqua Tompkins on October 13, 1996. Marquise’s birth is said to have dramatically shifted 50 Cent’s life, encouraging him to be the father that he wished his own father was, for him. Despite this, and their initially close relationship, 50 Cent and Marquise’s relationship has infamously been an unhealthy one, having been known to verbally assault one another through texts and social media. 50 Cent’s relationship with his second son, however, has generally been closer and more peaceful. Sire Jackson was born to 50 Cent’s ex girlfriend Daphne Joy on September 1, 2012. Where did the nickname “50 Cent” come from? Having lived in a tough neighborhood throughout his early life, Curtis often found himself getting into trouble. While his grandparents thought he was participating in his school’s after-school activities programs, he was typically really dealing drugs on the street. After police searched his home and found heroin, cocaine, and a pistol, Curtis was arrested and sentenced to three to nine years in prison. He ended up, however, serving six months in a correctional camp and earned his General Education Development certificate. 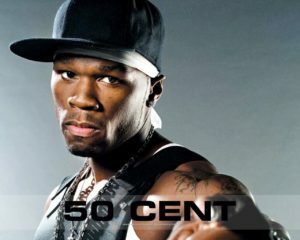 Having turned his life around, it is said that Curtis adopted the name “50 Cent” as an homage to 1980’s criminal Kelvin Martin, who had originally held the nickname. Martin, who was known for his willingness to rob anyone, appealed to Curtis, who felt that he shared a similar drive to create a better situation himself by any means necessary. In June of 2015, 50 Cent filed for chapter 11 bankruptcy, much to the interest of the public and media. According to court documents, 50 Cent’s assets were worth somewhere between $10 and $50 million, although he claims to hold debt of a similar quantity. Officially, 50 Cent filed for bankruptcy claiming assets worth only $16 million. 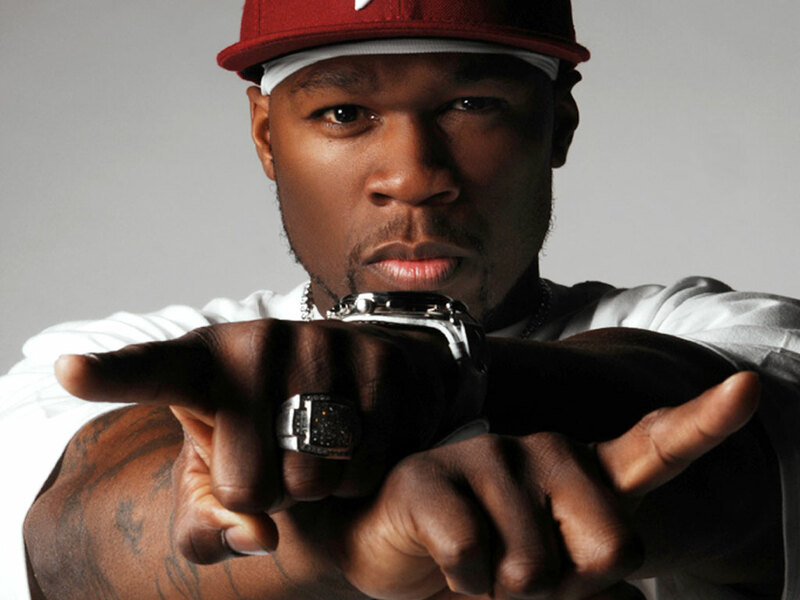 However, the state of 50 Cent’s fortune has been, especially recently, the subject of much speculation. After a follow-up appraisal, it was suggested that 50 Cent actually holds assets totaling more than $64 million, with debt totaling to be less than half of that amount. Furthermore, it is said that his monthly income is still well over $180,000, and regardless of his supposed bankruptcy, he continues to show off his lavish lifestyle on his various social media accounts. what has become of his GLACEAU water which he claimed to get out ?